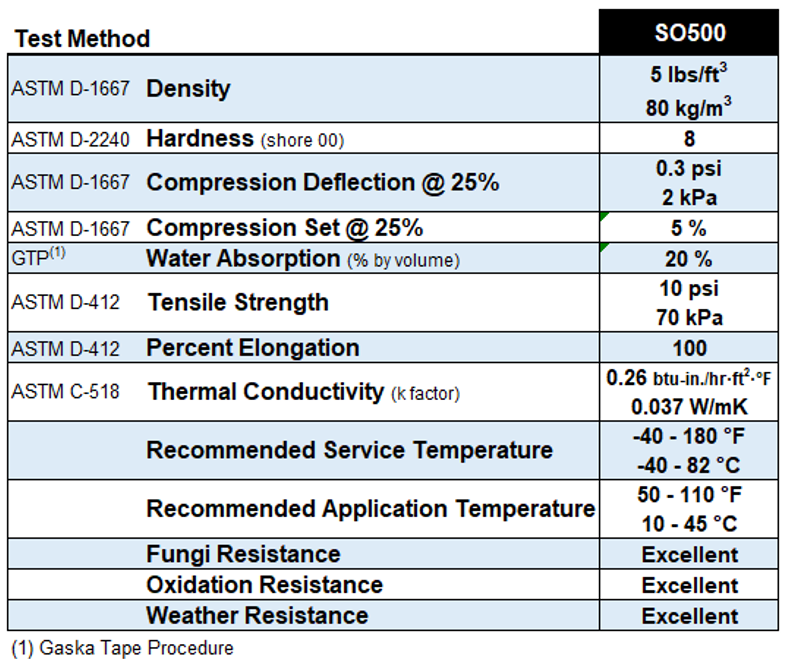 SO500 Series – Gaska Tape Inc.
Gaska Tape’s SO500 Series is a specifically formulated, super soft, semi open cell Polyvinyl Chloride foam that can be produced with or without adhesive on one side. SO500 is formulated and manufactured for applications that require a very soft product with a very low force to compress. This product has been specifically formulated to meet or exceed the Federal Motor Vehicle Safety Standard (FMVSS) 302A. Provides cushioning, vibration dampening, and sound deadening. Conforms to irregular surfaces and curves and can be used as a stuffer. Alternative to low perm urethane and mechanically crushed rubber foams where longer product life is necessary. High-tack acrylic adhesive has a wide temperature service range. Used in conjunction with thin gauge plastics and sheet metal to prevent over-bowing or over-flexing. Die or kiss cutting SO500 Series is available on 84# polycoated release paper or 12pt. release board. Can be laminated to polyester film to provide dimensional stability.